For over a century, chiropractic has focused on a perspective that postural distortion and its effect on the nervous system was “caused” by a misalignment in the skeletal structure of the human body. The vast majority of subluxation models are based in the philosophy that when an osseous bone is out of place, or out of “alignment,” it should be moved back into place in an effort to restore, nervous system function. Figure 1, illustrates a full spine x-ray. The topic of conversation lies with the question of what bone you, as the chiropractor would correct? Which one is the cause? There are a wide variety of disparate opinions from the multitude of different chiropractic techniques concerning which bone-to-move, but the major tenant that the “bone must be moved,” remains consistent. I disagree. The bone does not hold itself out of juxtaposition. The bone is not the structure that holds figure 1 in its misaligned pattern. 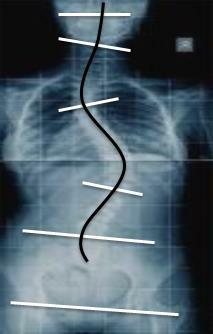 If you observe the bending and twisting of the entire spine, and not merely a localized perspective when looking at the picture, where only a bone out of place is commonly seen, you as the doctor may observe that all the bones observable in the film below, display and exemplify a contiguous system that misaligns as a system. What holds figure 1 in this locked pattern is not the bone. The conversation then is: what is the true cause of figure 1 and all postural subluxation patterns? The “bone out of place” is a reductive analysis, and like all postural pictures, a snap shot in time, of a life affected by and resulting from trauma, compensation, and collapse as the progressive and degenerative effects of gravity on our frames. Look closer now at Figure 1. Are you able to observe and see the damage? Do you believe any to be present? Then, are you able to witness and perceive the body’s response, and innate ability to react in its unceasing effort to maintain homeostasis? The body’s response is always an effort to maintain homeostasis and is facilitated by the activation of muscles that together with the connective tissues form a MFE (Myo-Fascial Envelope). Now with this understanding, it is possible to look at any and all x-rays with the ability to see bending of the spine and the effect of three-dimensional muscle activation, the effect of muscle shortening, the restoration of optimal head/pelvis congruence with the vertical axis (C0/C1/C2 mechanoreceptors over the L5/S1-4 receptors). This MFE-activation-system incoordination with ongoing sensory input higher integration and resulting motor output elicits a response. This is the context in which the bone or bones are pulled by the fascia, and the development of asymmetrical tension takes place. Theories or beliefs that localize attention to a bone or a section, or even a mechanistic model can and should be re-examined in a wider perspective. When you, as a doctor examine the structure as an integrated whole, and realize that damage is distributed throughout the whole system because each part, each holon, each section always strives to be in balance with all the other pieces, parts, holon’s, and sections. No one aspect is ever separate from the sum total of forces in the body. This new, expanded perspective allows an awakening and realization of a whole body analysis that reveals measurable effects of postural distortion in a systemic pattern throughout the whole body. This presages an expanded vitalistic and integrated chiropractic model. This new perspective of a Cause (traumas), Compensation (response), and Collapse (compression) comprises a flow model that explains the story of the posture and the tension pattern as its result. Tension holds figure 1 in place and it is the systematic release of this Tension that will remove the global subluxation of figure 1 to the upright and open posture of Figure 2. We posit four sections to the human body. The foot to pelvis, L5 to VP, neck, and head are interconnected via the myofascial envelope (MFE). The sections allow for flexibility and also as counterbalances in case of trauma and injury. There is an intricate relationship that links the sections in a structural, functional and energetic relationship. The MFE is anchored to boney landmarks for mechanical leverage that can activate (shorten) to maintain balance. It is a telephone pole type set-up. The “poles” give stability and leverage for large and small postural changes. The MFE encases us and by anchoring to the bones to maintain shape maintain. When misaligned, the bones and joints then become asymmetrical loaded compressive elements. It’s a dynamic model that explains the human frame as balloon compared to the brick and mortar model of bones. This “Tensegral bubble” is most optimal when balanced. Tensegrity and the inner pressure are healthiest when the MFE is uniform, non-damaged, and structurally intact (Figure 2). 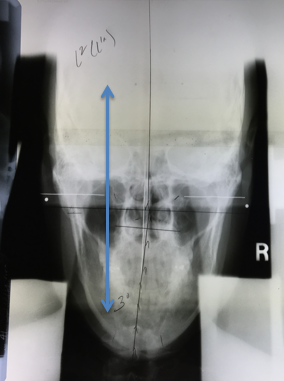 This is visible on x-ray when the four sections are relatively orthogonal and on the PMD131 (QSM3 posture measuring device) within normal parameters. This biomechanical strategy provides a structural “push” against gravity, a functionally open system and a minimally frictionless energy state. This uniform distribution of forces creates an optimal environment for blood, oxygen, nutrition, and toxin reciprocation. It is the platform of optimal life with a symmetrical upward Tension. The MFE does not live happily ever after. It lives a life filled with trauma and damage. Its integrity compromises and it goes through a repetitive compensation/collapse cycle forever unless we change that. Every strain, sprain, tear, and surgical incision damages the MFE and weakens it. The more traumas the more complex patterns can become as sections become non-linear and opposing as in Figure 3. Notice the curvatures, apexes. As one side is elongated, the opposing side (in the frontal plane) is shortened. The inter- as well as intra-sectional (asymmetric) tension is enough to distort the ligaments and skeletal system as a response to a life of accumulated traumas. No system in chiropractic has ever evaluated the whole postural pattern in any relationship to the whole. None evaluate the whole body based on postural patterns, sections, and tension in a flow model over time. That has changed. I have been formulating and testing this four section model for several years. I have found that tension is best released by elongation of the short side. 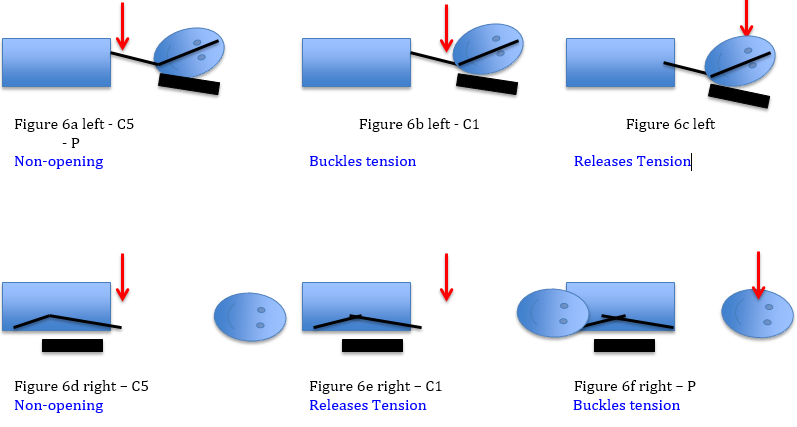 Figure 4a-c shows the importance of different release points in a simple two section Tension model. In a tension model, the point of entry creates the direction the tension releases. The red dash arrows depict the release direction as the force is put into different places on the line. Notice how the direction changes. Figure 4a, below pulls the tension left, figure 4b, approximates tension toward the middle, and figure 4c, pulls to the whole line right. The input placement changes the action on the tension. This concept is foundational as Tension lines and their complete postural patterns become complex and multi-dimensional. We can apply this concept to a simple two-sectional misalignment. Figure 5 is a Nasium x-ray. The two sections (head and neck) are shortened creating a Tension on the left as the neck and head approximate each other. This left tension (shortening) holds the misalignment in place and must be elongated, released and opened. 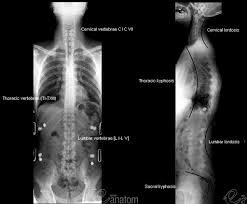 Figure 6a –f below are representations of this two sectional misalignment in side posture. Figure 4 a-c, represent the right side is up and Figure 6d-f, represent the patient left side up. The C5, C1, and P (pineal) represent different release points along the Tension line. Each side has a different action on the Tension line. Which one releases the two sections best on the right? Which one releases the two sections best on the left? Inputs that stretch, open and release the shortened side are productive to restore the MFE integrity. Figure 6e, has the best mechanical advantage to release the shortened left side for this 2 sectional model. Unfortunately, there are four sections and human postural patterns are 3 dimensional and non-linear. Postural relationships become more complex with multiple traumas, multiple sections, and energetic states of response. This produces the three dimensional multi wave patterns within the MFE like figure 7 (below). This 3D energetic waveform is a complex non-linear tension model. Patients have infinite waveforms of tension and compression. Figures 8a –c, represent postural complexities that chiropractors have been working to correct for over 100 years. Today we have opened the doorway to better understanding the integrated wholeness of these relationships. The bone out of place is obsolete. Postural distortion is a patterned waveform that is locked by tension to maintain postural balance. Releasing the captivity of this waveform tension is the path towards better corrections. My patients are experiencing the results of these insights daily in my practice.